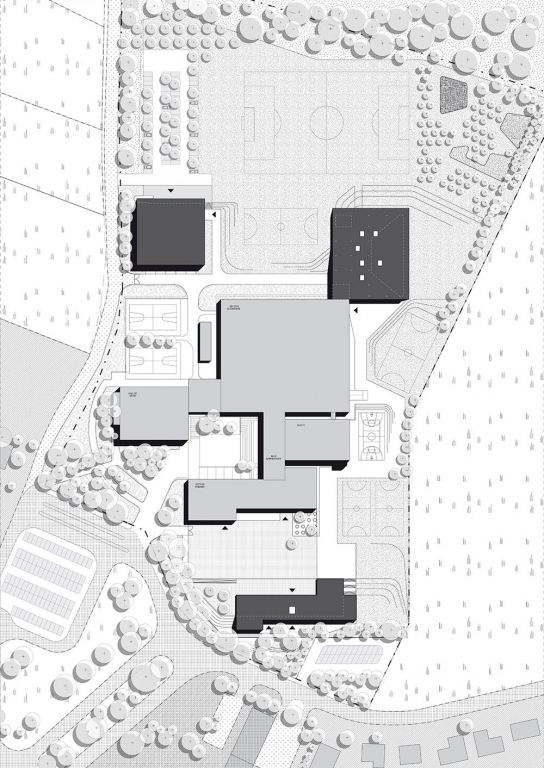 The program included the creation of three new buildings: one for the preschool section, an extension for the secondary section and a new sports hall. The new buildings are located around the site. They form a new framework around existing buildings. This specific implantation gives definition to the new school property. The boundary remains permeable, but the situation provides new facades to the school as a new frame in which children can learn and live.